Long Guoqiang, Vice-President of the Development Research Center of the State Council (DRC), led a delegation to Vietnam from January 15 to 19. 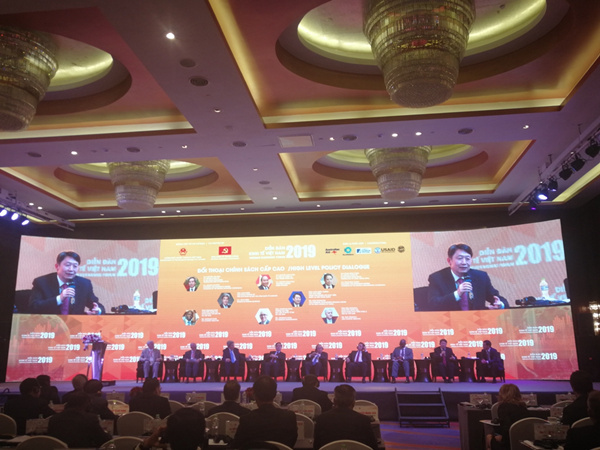 Long attended the Third Vietnam Economic Forum hosted by the Economic Department of the Communist Party of Vietnam (CPV) Central Committee and spoke at the high-level policy dialogue. Delegates from Vietnam and the United States, including Vietnamese Prime Minister Nguyen Xuan Phuc, also participated in the dialogue. 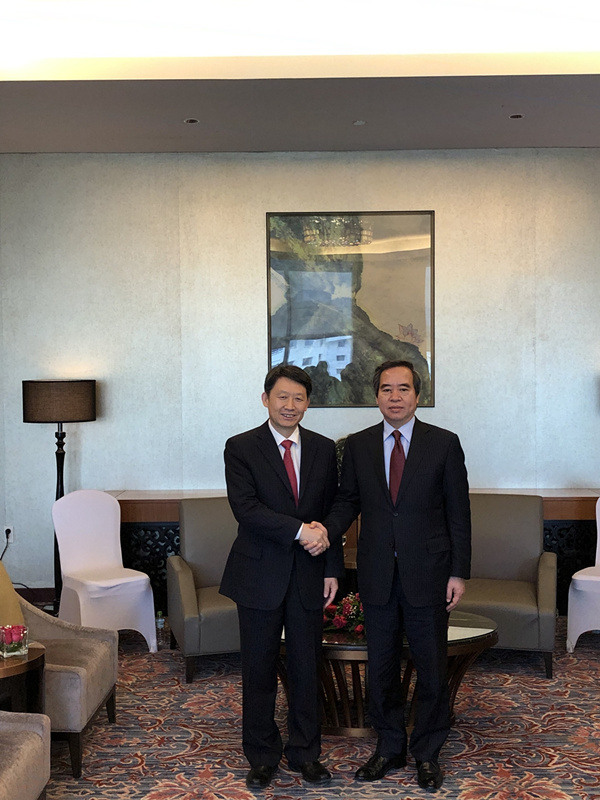 Nguyen Van Binh, a member of the Political Bureau of the CPV Central Committee and minister of the Economic Department of the CPV Central Committee, met with Long prior to the meeting. They exchanged views on China-Vietnam economic and trade relations and cooperation between institutions in both countries. Long also met with other officials of Vietnam and exchanged views on China-Vietnam investment and trade cooperation, and construction of science and technology parks. Long visited industrial parks, trade cooperation districts, and the Investment & Trade Promotion Center in Ho Chi Minh city and held talks on China-Vietnam capacity cooperation and Vietnam's policy of foreign investment introduction.